All A.S. Création wallpapers are produced to applicable EN or DIN standards and thus comply with legal provisions. For instance, all wallpapers made by A.S. Création bear a qualified CE mark to EN 15102. This shows that A.S. Création wallpapers have proven to meet the fire protection criteria defined by the EU. According to a French ordinance that came into effect on January 1, 2012, all building products, floor and wall coverings as well as paints and varnishes used indoors must be marked with their emission class. The results of an analysis performed by an accredited test institute, demonstrate that all wallpapers made by A.S. Création meet the limits of the emission class “A+“, which is the lowest class, and that they are all labelled accordingly. 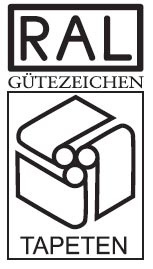 But apart from complying with legal requirements, A.S. Création offers its customers even greater safety, as the company’s wallpapers meet the more stringent requirements of Germany’s “Gütegemeinschaft Tapete e. V.”, which are documented in RAL-GZ-479. 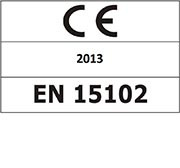 Compliance with this standard is reviewed by the internationally renowned Fraunhofer Society on a random basis. To promote environmental protection and sustainability, A.S. Création exclusively uses water-based paints on its heliogravure printing machines. Moreover, the company has used only FSC®-certified papers and non-wovens, which means that all wallpapers carry the FSC® seal. Established in 1993, the FSC® (Forest Stewardship Council) is a non-governmental, not-for-profit organisation committed to the environmentally and socially compatible and economically viable management of the world’s forests. 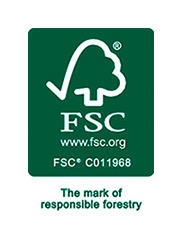 The FSC® label tells consumers that wood from responsible and sustainable forest management was used for the product in question. Our capital expenditures also reflect our commitment to a sparing use of resources. While all capital expenditures required to meet the increasingly stringent legal and regulatory requirements count as direct capital expenditures in environmental protection, capital expenditures in modernisation also contribute to environmental protection given that the use of advanced technologies usually also entails a higher degree of efficiency with regard to the resources used.